When putting your house on the market you may think “Let’s list it for higher than we want to sell so we have room to negotiate when our offers start coming in.” That may sound like a great tactic to someone that is not experienced in selling homes and doesn’t know a lot of about the housing market- which is why the majority of people the initially attempt to go the For Sale By Owner route overprice their home and watch it sit on the market for a long time. Like I said above you want the listing price of your home to draw motivated buyers that are serious about buying a house right now and you want to create a sense of urgency. The longer your house is on the market the more likely it will sell below list price. Zillow reports that after 60 days it houses sell for 5% below their list price and it only decreases from there. Buyers will start to give you low-ball offers once your house has been on the market for awhile because they will know you need to sell it and you’ve been waiting awhile. 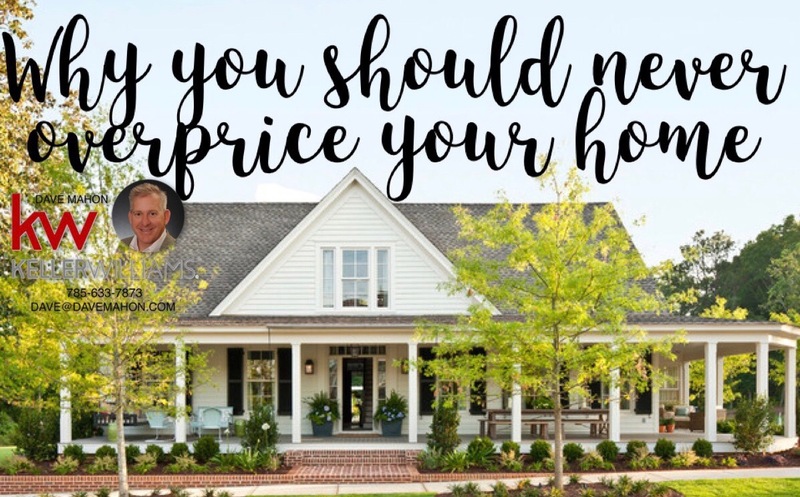 The longer your house sits on the market the more houses become available and buyers are more likely to be drawn towards houses that were just listed and listed at the right price. So now the question becomes…what is the right listing price for your home? As a real estate professional, that is my job to figure out. Call me today and let’s figure out how to sell your house the best way!